Search Engine Marketing (SEM) is one of the most popular mediums of an Internet marketing campaign. SEM is one of the many tools we use to get your website noticed on search engines. SEM involves strategically getting your website noticed on search engines in the means of paid placements. A SEM campaign targets some of the major search engines by using tools such as Google Adwords, Adsense, Yahoo! Search Marketing, and many more. The constant need to stand out among thousands of service providers in your genre makes it challenging to stay on top of major search engines. Search Engine Optimization (SEO) enhances your website in terms of content, images, videos, HTML codes and more, in relevance of keywords and phrases, which increases your website’s rank across search engines. A SEO process makes sure that your website is among the top results of major search engines. It is often a lengthy and extensive process to get your website on top of search results, but it is well worth the effort. Are you like many business leaders who think that your website’s content is more than enough to do justice to your Internet marketing plan? Staying on top on search engines is what you need to get your website more visibility. Search engine enhanced content plays the key role in getting your website a higher ranking. Keeping your website’s context in place and strategically placing the right keywords in your content can work wonders for your new project. 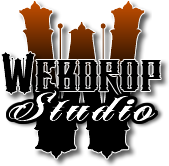 Webdroppers are experts in getting YOUR website highly ranked- let us show you how!